Our goal is to provide you the best quality, carpet cleaning service possible. Our reputation as a local, trusted service boils down to being honest, reliable, and innovative, utilizing the deepest cleaning hot water extraction system available on the market. Let us give your floors and countertops the fresh appearance they've been missing by allowing us to restore your Tile & Grout using the most heavy duty, non-abrasive complete steam cleaning system that penetrates deep beneath the surface to extract the dirt, grime, and build up. Furniture is expensive. Instead of replacing, restore. 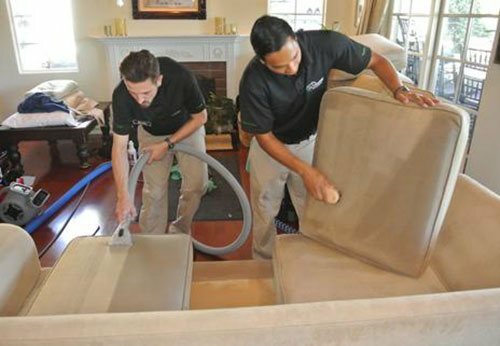 Our experts will disinfect and remove the allergens, dust mites, bed bugs, stains, smells, and other particles found within your Upholstery and Mattress layers, leaving it feeling, smelling, and looking fresh. We LOVE all animals here at OCD Home® and don't mind cleaning up after them either. Whether it's an emergency or long standing issue, give us a call today to see if we can rectify your situation by sanitizing, deodorizing, and cleaning the contaminated area. 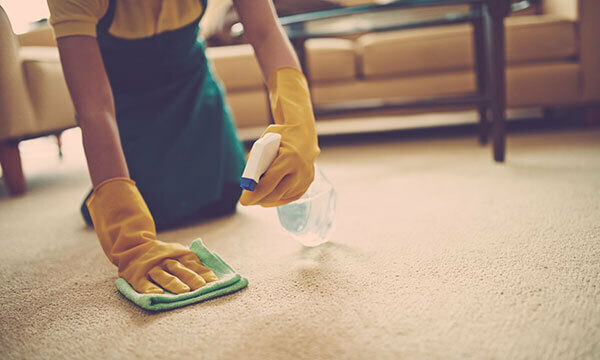 OCD Home Carpet & Tile Cleaning is dedicated to providing our customers with the best carpet cleaning services in Orange County. We are a local, family-owned carpet cleaning company that offers a full range of cleaning services for homes and businesses in and near Orange, Yorba Linda, Anaheim Hills, Tustin, Irvine, Placentia, and surrounding areas. We are experts in using state-of-the-art equipment, advanced cleaning techniques, and professional-grade cleaning solutions to return carpets, tiles, grout, and rugs to pristine, like-new condition. All of our cleaning technicians are highly experienced and certified by the Institute of Inspection Cleaning and Restoration (IICRC), which means they have received specialized training in the cleaning industry's best practices. 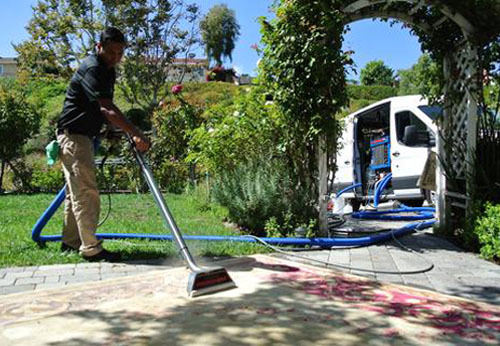 Whether you need carpet cleaning in Irvine for a 2-story office building, carpet cleaning with pet urine removal for a Villa Park single-family residence, or tile and grout cleaning and sealing for a kitchen in Brea, we have the skills and expertise to get the job done quickly, efficiently, and to the highest of expectations. Over the years we have received hundreds of glowing reviews that attest to our exceptional workmanship, honest business practices, and superior customer service, which has earned us an A+ Rating with the Better Business Bureau. Our superior service has also earned us the 2017 Angie's List Super Service Award and gained us a spot on Best of Yelp for 2017. We are also a Google Guaranteed Partner, which means we have passed Google's strict screening process that includes a background check, license and insurance check, and reviews and ratings screening. Any customer that is not happy with our service can submit a claim to Google for up to $2,000. 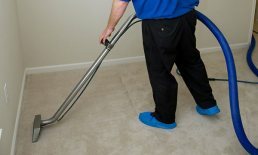 At OCD Home Carpet & Tile Cleaning, we use high performance steam cleaning equipment and proprietary techniques that provide the fastest drying times and most thorough, long lasting carpet cleaning available. In most cases, drying times are typically 2-6 hours, far less than the industry standard of 8-24 hours. We exclusively use Green Seal Certified and eco-friendly cleaning products, so you can rest assured that your family, home, and pets will be safe from toxic chemicals. We take special care to remove all traces of grime, dirt, bacteria, mold, mildew, and other contaminants that could potentially cause harm to your family, pets, employees, or property. In addition, we provide expert stain removal for all carpet types. Even if moisture and pet accidents have soaked down deep into the padding, we can effectively eradicate pet urine stains and odors. We offer tile and grout cleaning services throughout Orange, Yorba Linda, Anaheim Hills, Tustin, Irvine, Placentia, and all nearby cities. We clean porcelain, granite, ceramic, travertine, slate, terracotta, and natural stone tile on interior surfaces, which includes floors, kitchen and bathroom countertops, vanities, and shower bases. 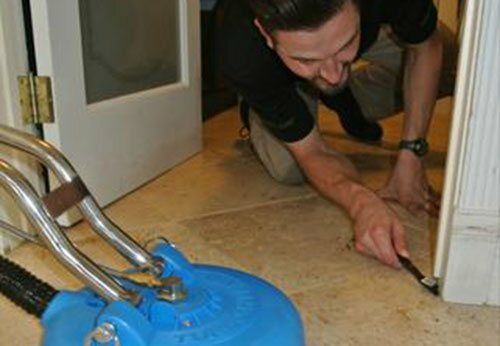 Our complete grout and tile cleaning process uses 800-1000 psi pressure and up to 260 degree steam to thoroughly extract all bacteria, oils, and dirt that has become impacted in grout and tile. 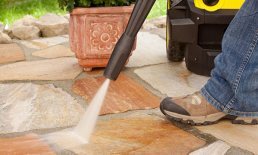 At the conclusion of our extensive steam cleaning process, we can also provide a clear seal protectant that is highly effective at protecting tile from future staining and discoloration. Call us today to schedule carpet cleaning, steam cleaning, tile and grout cleaning, area rug cleaning, natural stone cleaning, or furniture fabric cleaning for your home or business in Irvine, Anaheim Hills, Tustin, Orange, Yorba Linda, or other nearby cities. We offer convenient, flat-rate pricing for Orange County homes and businesses that is always transparent, honest, and above-board. Our technicians are always exceedingly knowledgeable and respectful, and takes extra precautions to prevent damage to your home or business. We always use corner guards, walk off mats, tie offs, and even lawn stakes to prevent harm to your grass or landscaping. OCD Home Carpet & Tile Cleaning is fully licensed and insured. Our industry leading guarantee is simple: "If you aren't satisfied with the service, we'll make it right!" Whether that consists of re-cleaning requested areas, re-doing the entire job, repairing or replacing any damage, or refunding the bill completely, we are committed to providing 100% satisfaction for every customer. I wouldn't hesitate to enthusiastically recommend this company; they did an absolutely fantastic job cleaning our carpet, and they were also punctual with stellar customer service (Jordan promptly answered my many inquiries every time). 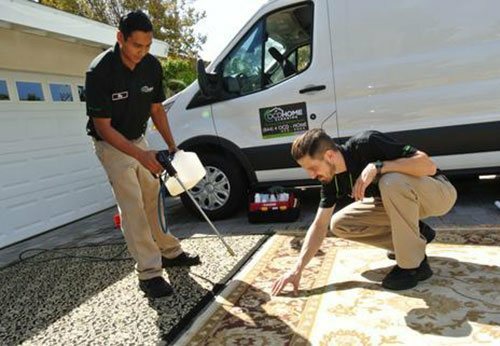 Moreover their rates are very reasonable; we'll definitely use them for any future carpet cleaning and wholeheartedly recommend them to others. Have questions? ...we've got answers.